Supporting kids to thrive is a complex and dynamic process. Every kid is different, and even supporting one child changes as they grow older and are changing themselves. But the most recent data on kids and wellbeing points to some common themes – or skills – that help kids thrive all over the world. So what are these skills that kids need to thrive? The ability to engage intrinsic motivation, exercise optimism, and pursue noble goals are the most predictive of wellbeing for kids. Being driven by internal values. Developing an outlook of possibility. 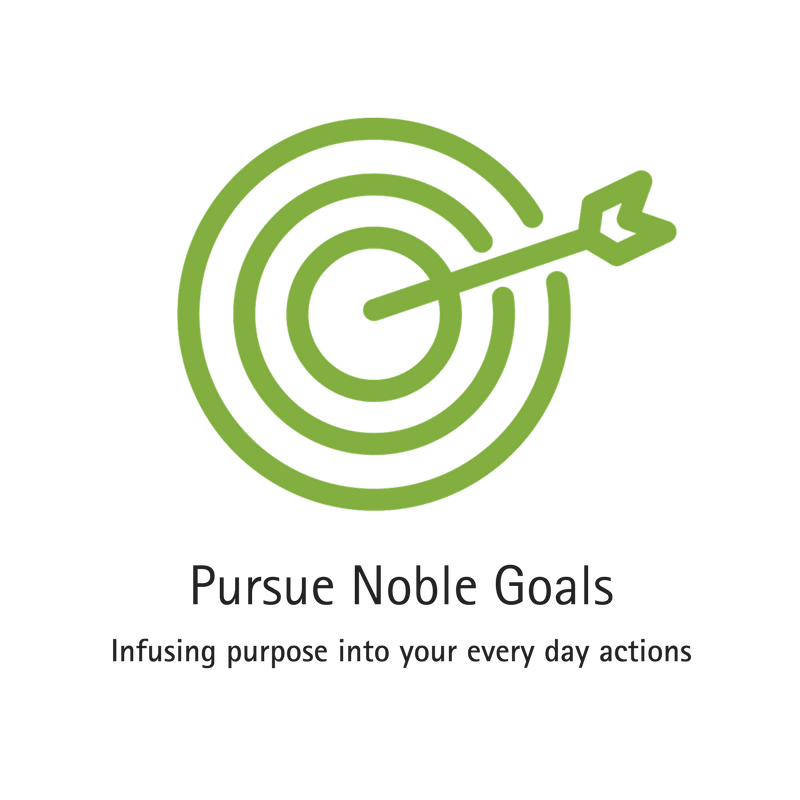 Infusing purpose into your every day actions. Unfamiliar with EQ, or the methodology of Six Seconds? Check out Getting Started with Emotional Intelligence and The Six Seconds Model of EQ. The founder of Outward Bound has a wonderful saying, “Are you a passenger or are you crew?” that captures this need to support children to be crew in their own lives, instead of only passengers. Exercising optimism means strengthening your ability to have an outlook of possibility. “Knowing there are possibilities even when you can’t see them,” as Josh Freedman put it. This is the sense of resiliency that is an essential part of authentic wellbeing. Adversity is a part of life, and that’s why it’s essential to have the tools to deal with setbacks and generate new options for ourselves. People who have cultivated this ability generally score high in wellbeing because they can see many different paths that lead to what they truly want. People who don’t have have this skill, whether kids or adults, feel stuck more often. 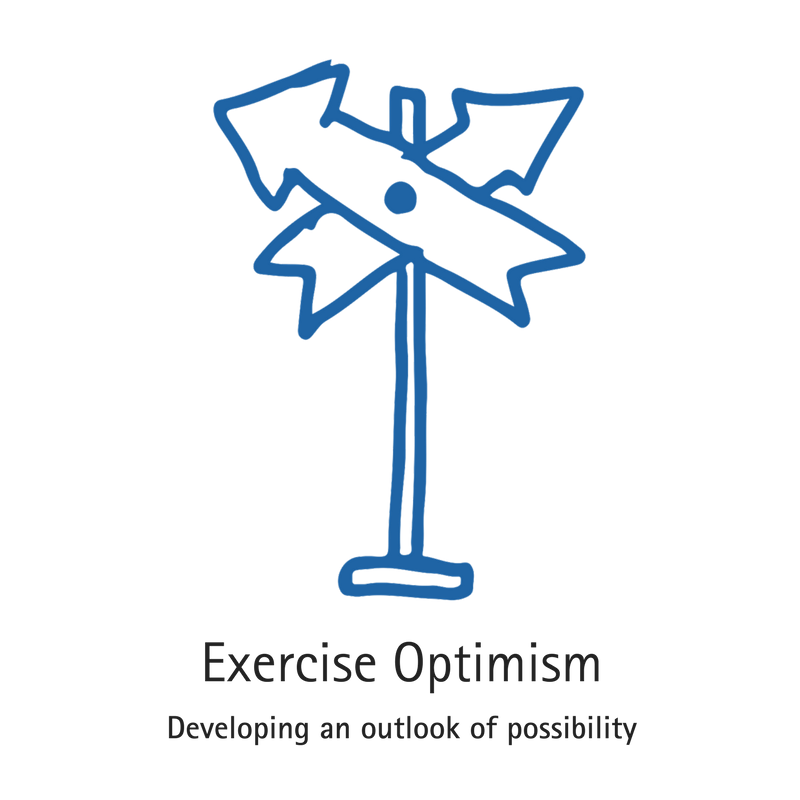 In Six Seconds’ research, this ability to exercise optimism predicted 16% of the variation in wellbeing scores. Six Seconds’ Founder and President Anabel Jensen says optimism is essential to wellbeing “because it helps us to deal with those daily adversities. The research is clear that we have somewhere around 20 adversities on a daily basis. Some are teeny tiny and some are more complicated and personal. But the skill is the same, and it’s the acronym TIE. Remember that the adversity is temporary, the adversity is isolated, and in the end, your effort is going to make the difference.” Kids who have the skills of optimism bounce back more quickly, and that leads to higher wellbeing overall. 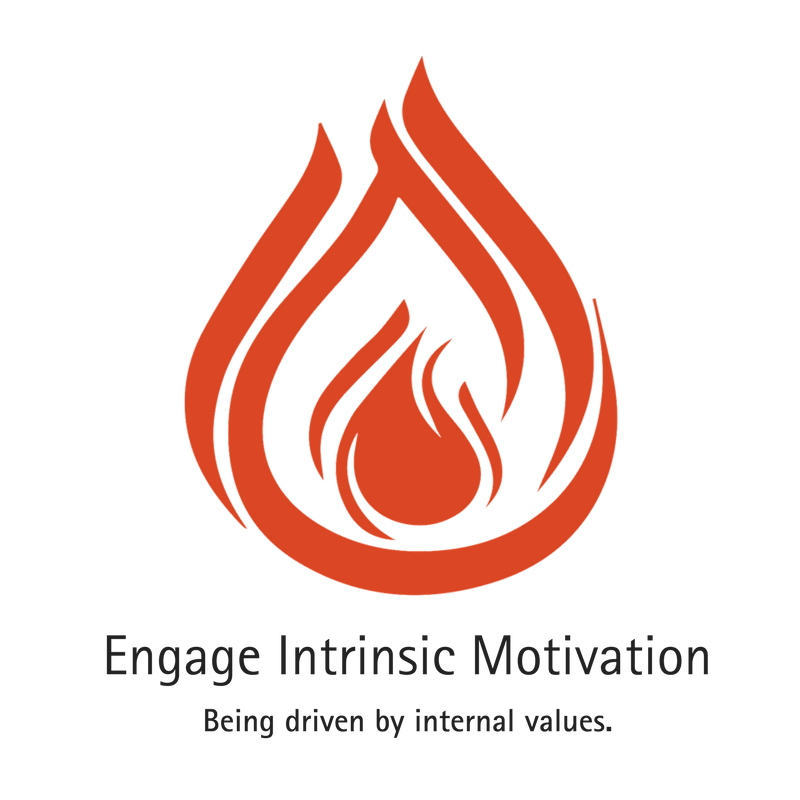 Engaging intrinsic motivation is largely focused on the bigger picture: what’s motivating you? Exercising optimism is largely focused on every day challenges – and how to overcome them. The final skill that is predictive of wellbeing, pursuing noble goals, combines these two. It’s about bringing the bigger picture into your every day life. Pursuing noble goals means knowing what you want to contribute to the world, what makes you come alive, and then infusing that into your every day actions: “Feeling and seeing a long-term vision and putting that into action in your daily life.” Your noble goal is a sort of north star that you can refer back to when making all types of decisions: Does this bring me closer to my noble goal, or do I need to pause, evaluate, and think about my options? 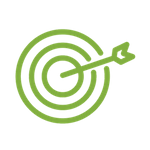 In Six Seconds’ research, noble goals predicted 14% of the variation in wellbeing scores. First of all, having a noble goal is an essential component of engaging intrinsic motivation. To follow your purpose, you first have to know what that purpose is. But also, having a clear noble goal helps you focus on what is most important and access your full power and potential. For kids to be crew in their own lives, it’s essential for them to have some sense, coming from within, of where they want to go, and what they want to contribute to the world. When they have that, even the smallest actions are infused with a sense of vibrancy and purpose – and that feels really good. What Is Wellbeing? Six Seconds’ global office team shares their insights into wellbeing. Six Seconds gathered this data by having kids age 7 to 18, all over the world, take the youth version of the SEI, the world’s leading emotional intelligence assessment. The good news is that youth wellbeing is on the rise: from 2015 to 2017, we saw a 4% increase in youth wellbeing scores. The bad news is that, on average, wellbeing scores seem to drop as kids enter their teenage years. 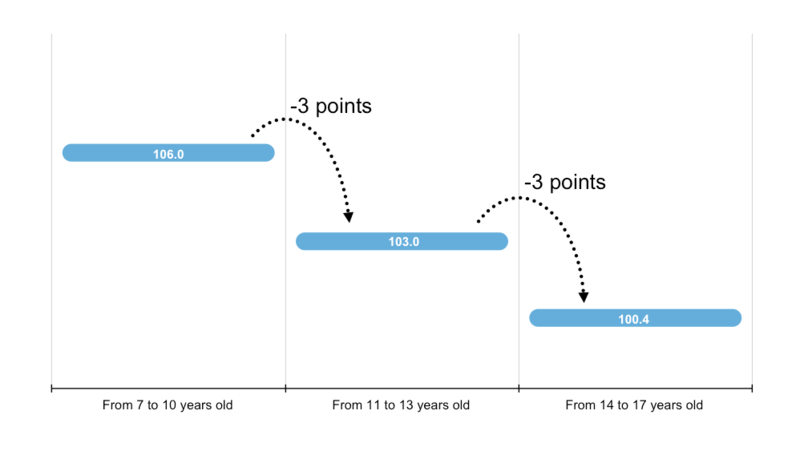 Check out this graph of youth wellbeing scores, broken up into 3 age groups. We often create an environment for teenagers in which the conditions for wellbeing are hard to meet. SEL Consultant Lorea Martinez says the root of the problem is in how we define success for teenagers in Western society. As parents try to help their kids get into the best colleges, expectations have skyrocketed to take more AP classes and be engaged in as many after school activities as possible. As a result, “we are paying less attention to the value of spending an afternoon doing nothing, going on a hike in nature, or just playing. I think that the free time that kids used to have where nothing is scheduled is almost gone from the lives we live in the US and other Western countries.” And a tightly scheduled life is one without room for much control, that essential component for engaging intrinsic motivation. And this at a time in their lives (puberty) when teens feel a biological push to be their own person, and separate from the wants and desires of their parents. When you combine this with the external focus of wanting to fit in and get likes on social media, it’s a perfect storm for low intrinsic motivation – and as a result, low wellbeing scores. Give kids the space and power to choose what they want. Now there is obviously a caveat here that kids need – and want – support and structure. But especially as kids grow up, be open-minded and constantly examine ways that you can empower them to make their own decisions and choose their own destiny. That is the way to leverage these drivers of wellbeing. Model what it looks like to focus on these wellbeing skills. Even teenagers who “want nothing to do” with their parents are actually looking at what they do as an example. In fact, they will be the first ones to point out hypocrisy when they see it. So a key part of supporting kids to thrive is thriving yourself. Follow your own passions and be energized by your personal values. Be open about your noble goals and how that looks in your every day life – even if that means calling yourself out when you don’t act the way you want to (and with the exhaustion and frustration that comes with parenting, especially teenagers, this is inevitable). Hone your own ability to exercise optimism. Be the change you wish to see, and it will be much more powerful. Encourage kids to have down time. Resist the urge to over schedule extracurricular activities or AP classes. It’s easier said than done considering the pressure that is often there from schools and other parents, but it’s essential to wellbeing. On a personal level, I remember being stressed and even depressed by the academic load at my prestigious college prep school. And the load did force me to learn me how to be successfully academically, but I also feel like I am still working through some of the bad habits that those stressful times impressed upon me personally. At the heart of wellbeing is balance. Practice it yourself and give your kids the time to practice it themselves. Nice summary of what adults can do to help kids thrive. According to my calculations, the 3 suggestions you list account for only 50% of the variation in well-being scores. What accounts for the remaining 50% of variation in well-being scores? Based on the last chart you show, I’m guessing that age may also account for some of it. Hi Mike, thanks for your reply. In terms of what accounts for the remaining 50%, we don’t exactly know… what this data tells us is that emotional intelligence, and particularly these three skills, are highly predictive of higher scores on wellbeing. But based on some of our other recent research on wellbeing, there are factors such as health, positive social connections, rule of law / civil society, etc. that could contribute to the other 50%. 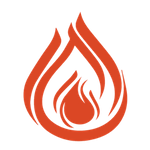 The Wellbeing Index mentioned here, http://www.6seconds.org/2017/12/14/daniel-goleman-emotions-wellbeing-mindfulness/ has 5 factors, Purpose, Social, Financial, Community, Physical. And, yes… we can also see in the graph you mentioned that wellbeing seems to decline in teen years. One of the paragraphs is about why that could be, but I would love to hear your thoughts if you have any. Hope you have a great day! Great article, Michael! Where Can I find the study referenced? I want to use this date to inform some of our programming for youth and parents. Miller, M. (2017), “Supporting Kids to Thrive: New Data on Kids, EQ and Wellbeing”, Six Seconds. 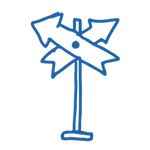 Retrieved from http://www.6seconds.org/2017/12/19/29541/ Dec 21, 2017.